After working all day, who wants to come home and spend hours in the kitchen cooking? Not this girl, that's for sure. This recipe is quick and easy. It definitely took less than twenty minutes. This is a dish that definitely looks like it took a lot more time to make than it did. And let's face it, I'm not that great of a chef and even I can make this. This is a warm and delicious soup. Add in some garlic bread and a salad and you have a whole meal. I love dunking the crusty garlic bread into the soup. 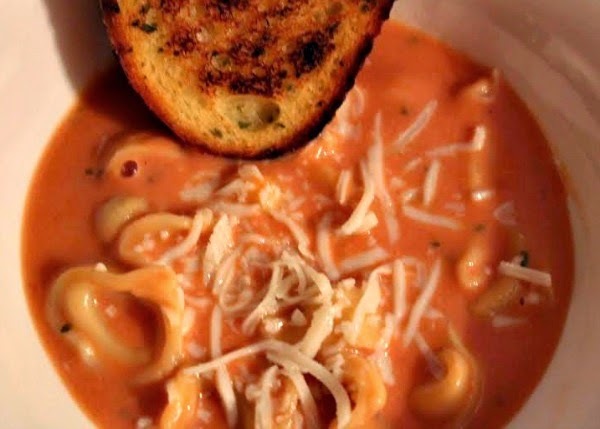 The soup is rich and flavorful and the cheese tortellini are so delicious! The recipe makes enough for 4-6 servings. 1. You need two kettles. In the first you will make your frozen cheese tortellini according to the package. While the tortellini is cooking, you will put your soup, half-and-half, and milk into the other kettle warm on medium heat. 2. When the tomato soup mixture is warm add in all of the seasonings and salt and pepper to taste. Now, simmer the soup on low until the cheese tortellini is finished. 3. When the tortellini is done, drain it and add it to the soup mixture. Remove from heat, stir, and dinner is served. Top each bowl with some mozzarella, if desired. Yumminess, this is my type of food and perfect for cold days. I have to try it although I dont think we get cheese tortellini in stores here. Any other alternatives you think will work? Wishing you a marvelous weekend! 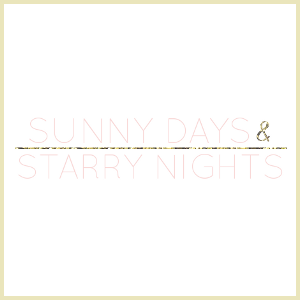 Bookmarking this! 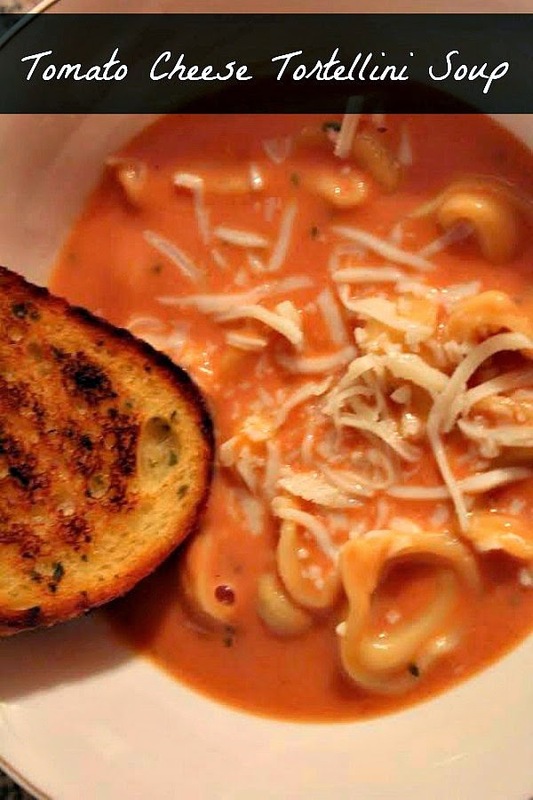 I am all about cheese and tortellini and soup! So gonna try this tonight! I don't like tortellini soup, but these look yummilicious!! !